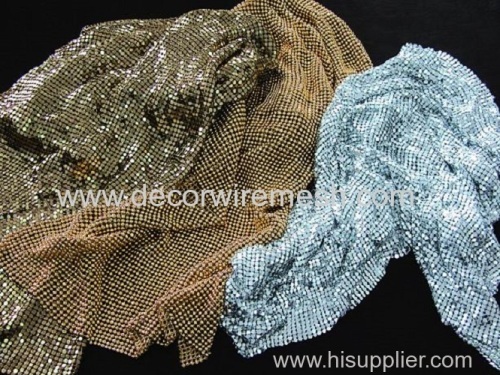 Metallic cloth, metal mesh fabric (metal cloth), made of the flexible aluminum flakes and rings, is a new kind of decorative materials for inner design or clothing design in industrial applications. 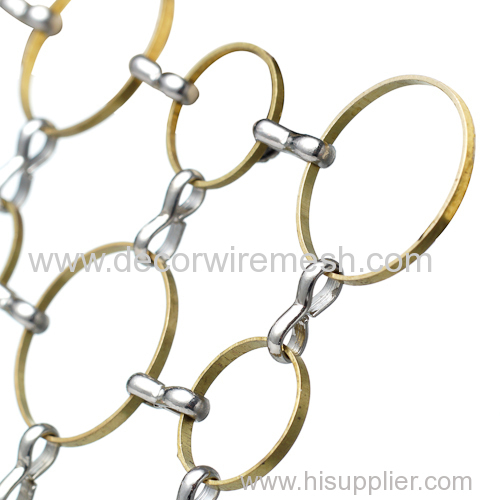 Surface Processing: oxidization, printing ink, imaginary color coating and grit coating. 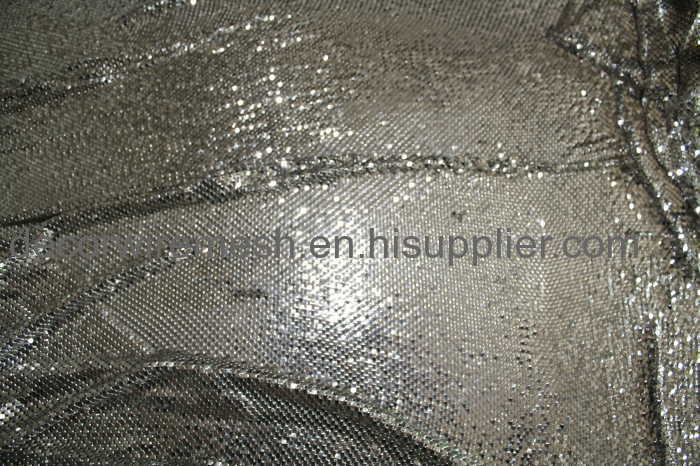 The oxidization processing is to oxidize the mesh with all kinds of colors, it looks smooth and the color can't be defiled. 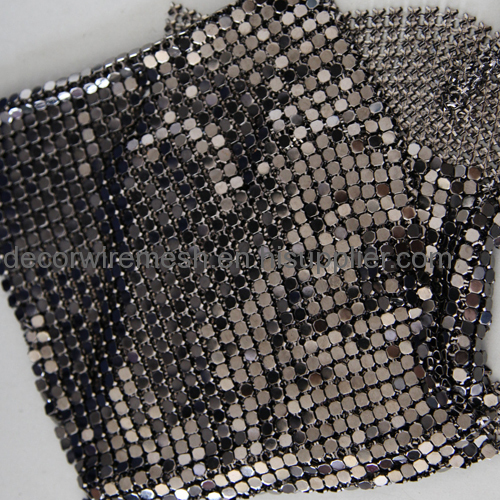 The printing ink just like you put some colored ink on the metallic cloth. 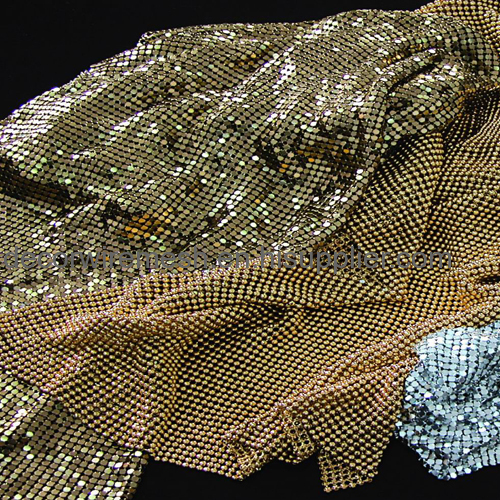 The imaginary processing is another technique to make each of the flakes with all kinds of color and make the whole mesh imaginary. 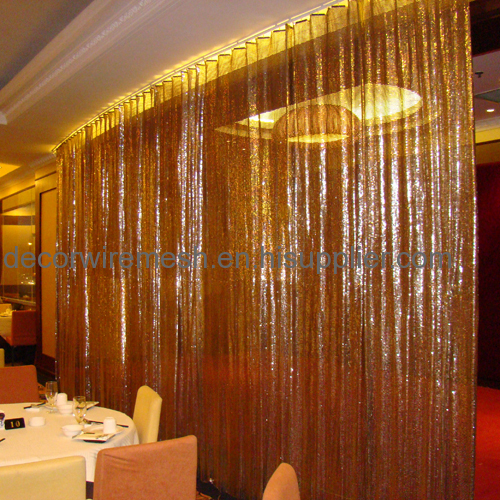 The grit coating is to make much small colored grit on the wire mesh, it also be a good scene under the color light. 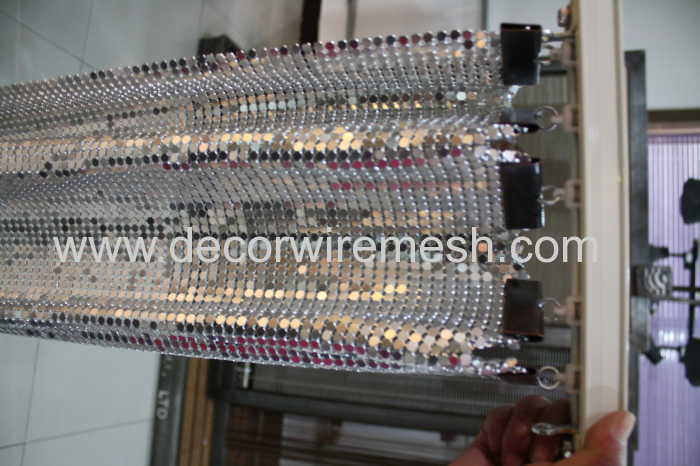 Color: red, silver, green, black, golden yellow, etc. 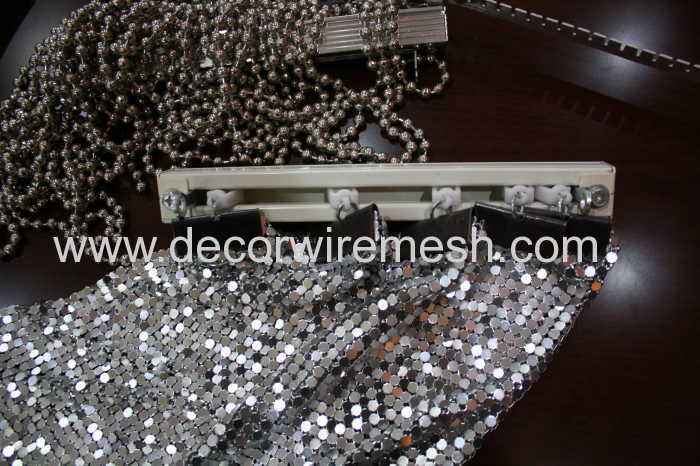 Application: Window, wall ceiling, visual merchandising, shoes decoration, bag decoration, clothes decorations, bra cup and so on. 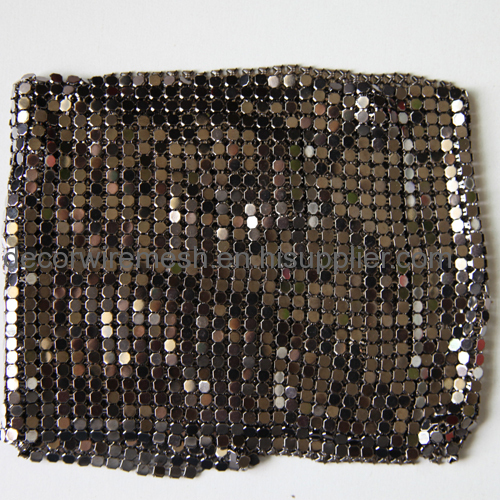 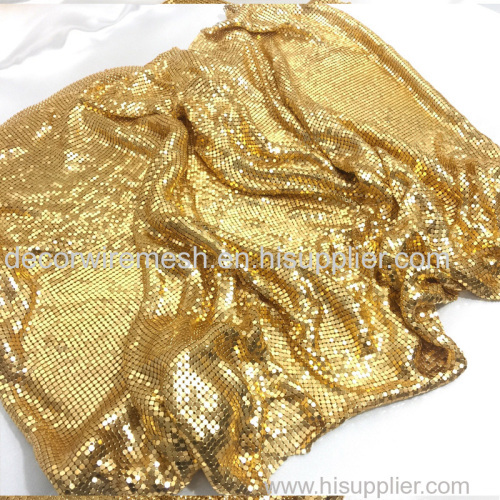 With its versatility, unique texture, variety of colors, durability and flexibility, metallic cloth is more and more popular in the inner design and clothing design. 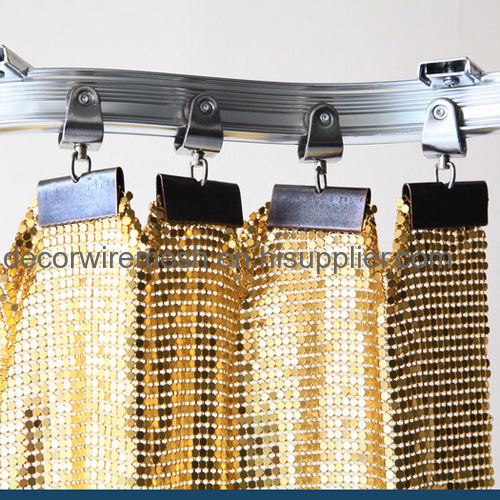 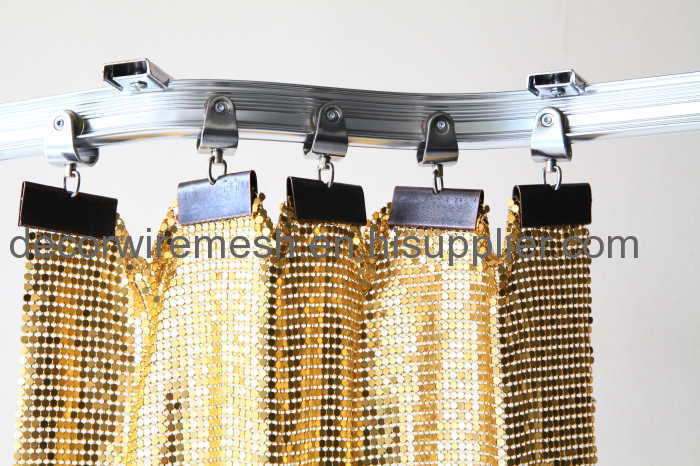 Accessories: Metallic cloth can be installed on the ceilings with aluminum alloy track and pulley with chain, the track can be fixed on the ceiling wall, the pulley can make the metal drapery move easily and the chain can control the pulley. 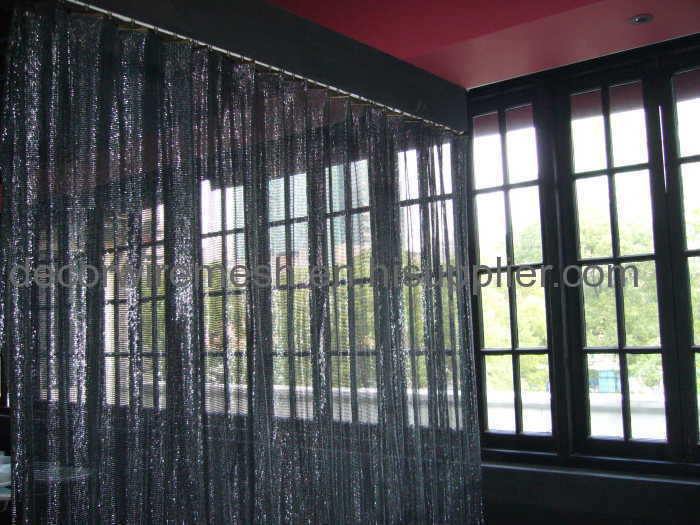 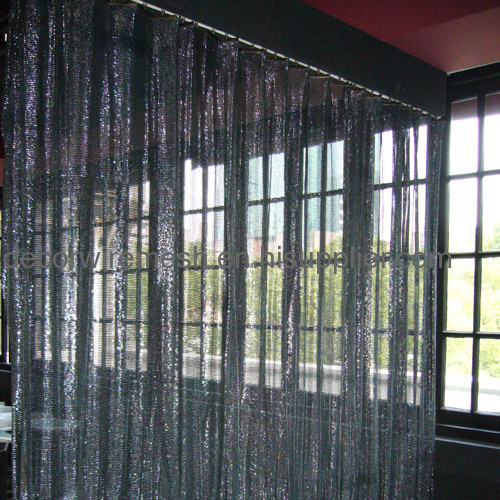 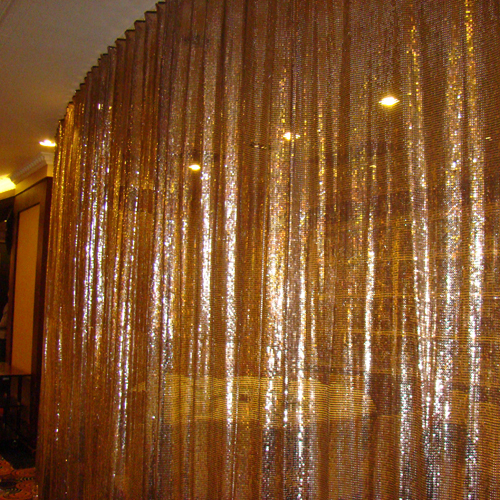 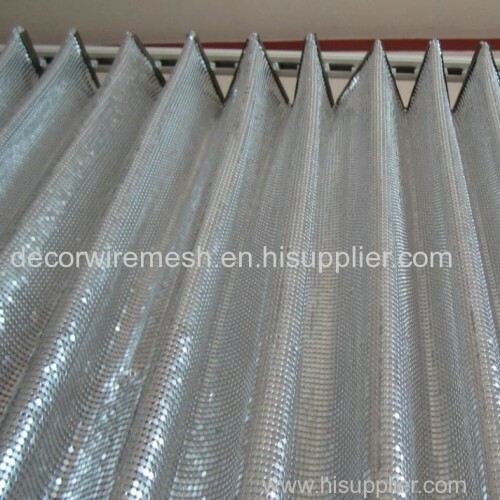 Usually our woven metal fabric has 1.5 times and 2 times overlap, when the mesh is hung, it can be show into a wave shape and make the curtain beautiful. 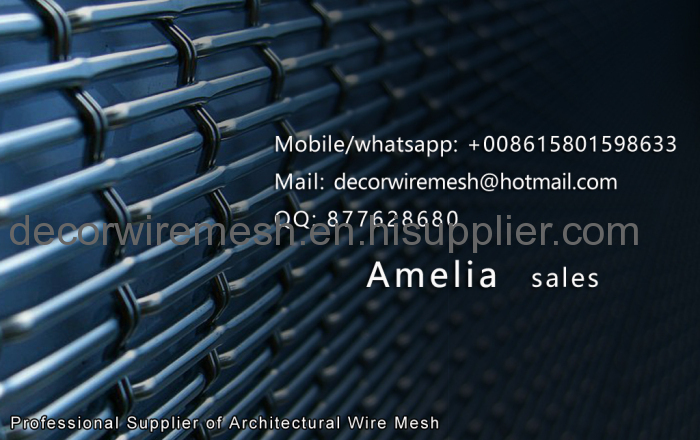 As to the track, we have two kind of tracks, one is straight type, the pulley only can be moved straight; the other is bent track, the track cab be bent into any shape according to your building shape.